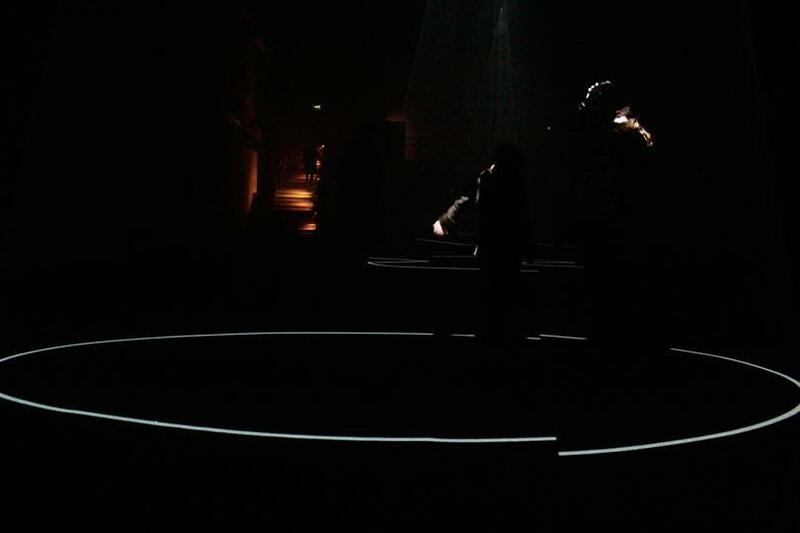 As the entry curtain closes, the viewer is engulfed by a disorientating pitch black space. 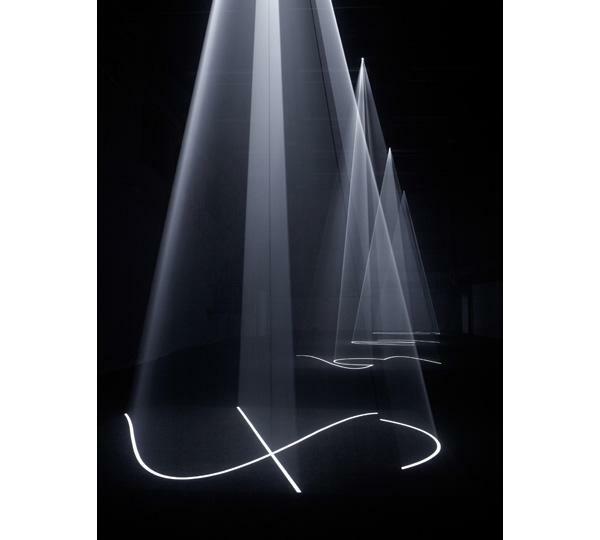 Slices of light cut sharply into the darkness as if ripping open space itself, bursting from the ceiling, engraving on the ground a solid footprint of the work. As the eyes slowly adapt to the obscure surroundings, stairs appear on the right. Set on two levels, the entrance overlooks the main gallery space. 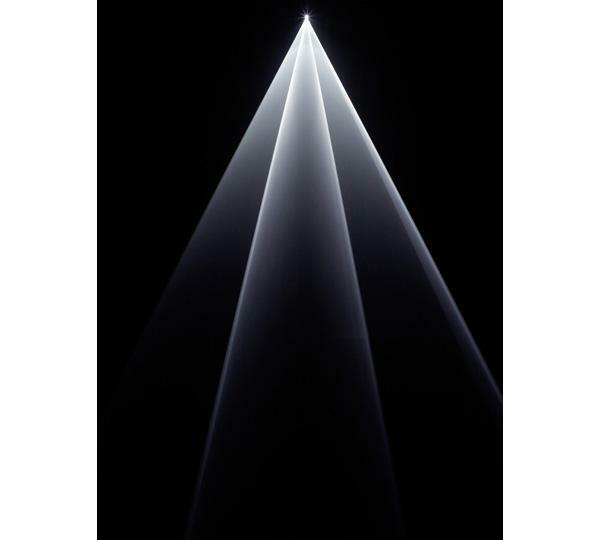 From here the viewer heads down to the gallery floor where the imprints of the sculptures beckon with irradiating beams of light, like lighthouses in an ocean of darkness. 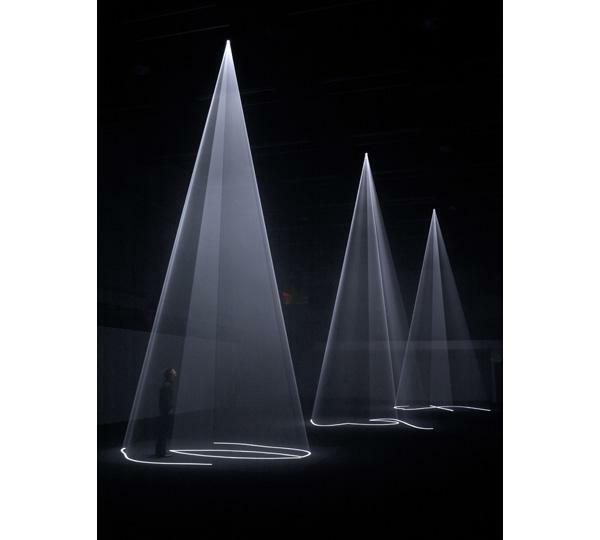 Projected from the ceiling onto the floor, the luminous volumes form overwhelming ten metre tall three-dimensional cones of light, their phosphorescent walls gently shimmering as if shaken by an unnatural breath. 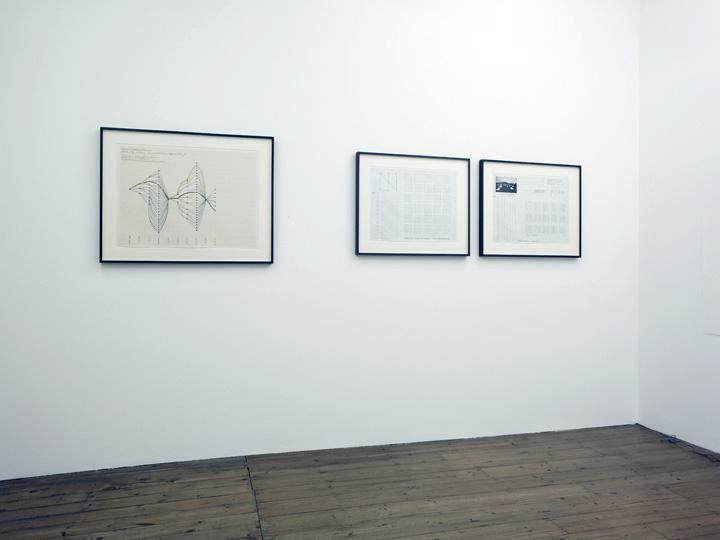 The mutating architecture suggests an interior and exterior, fleetingly altering and shifting through time. 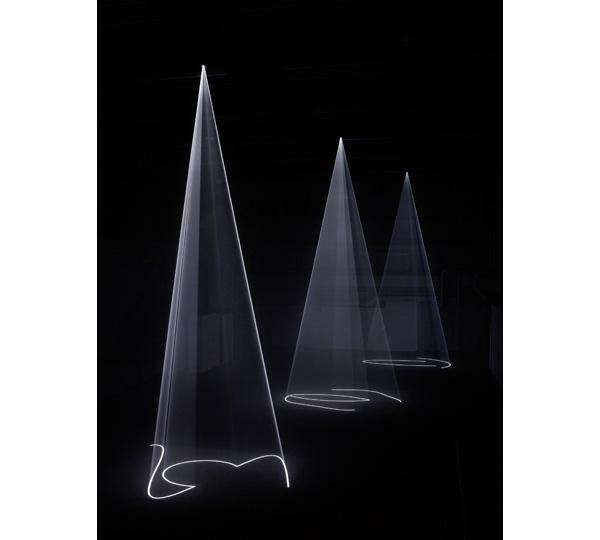 Some viewers enter the luminous tent-like shapes and playfully attempt to stay within their boundaries as the sculptures slowly unfurl above their heads. 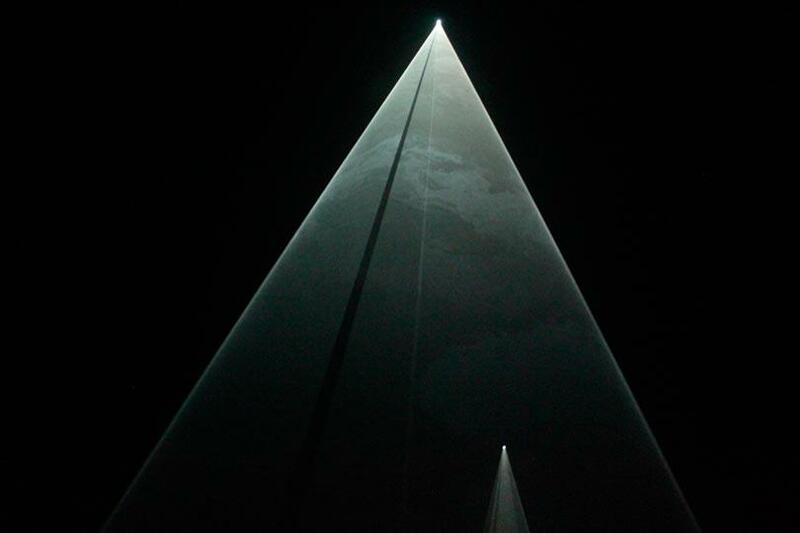 Others pass a hand through the beams, thus denying the materiality of what their eyes perceive as solid volume. Witnessing these scenes, the fluttering image of limbs seem to be carved and cut into the darkness as they penetrate the luminescent veils of light. British-born McCall trained at Ravensbourne College of Art & Design in the mid 1960s. 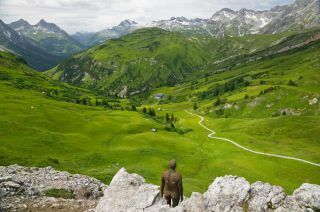 He is internationally renowned for his cutting-edge work, investigating the space between drawing, cinema and sculpture. 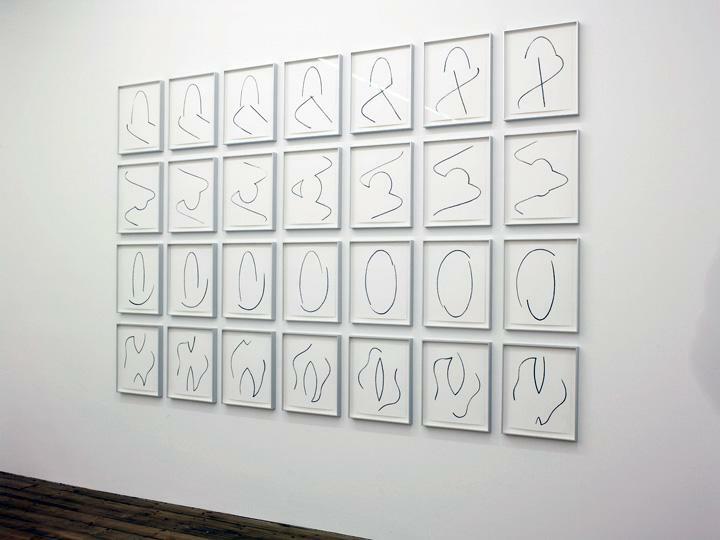 The first steps of his ‘light sculptures’ can be traced back to the 1970s. McCall was then tackling the idea of producing a film only existing in the present tense. Following this lead, his experimental works were de-constructing the cinematic process to its most basic elements of light and duration. 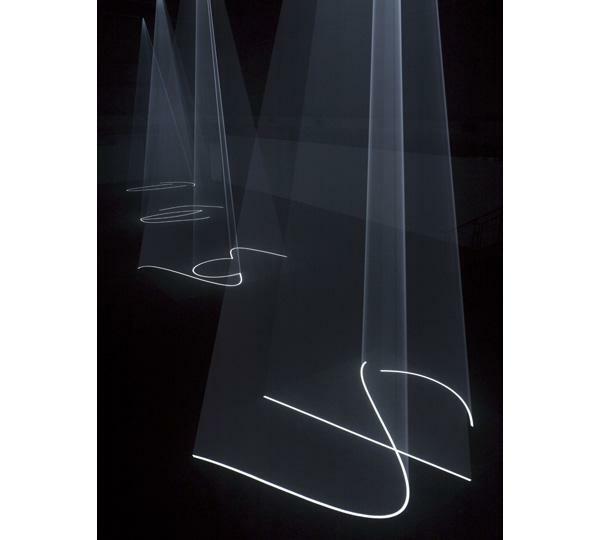 ‘Line Describing a Cone’ (1973) was the starting point of the ‘solid light’ series. 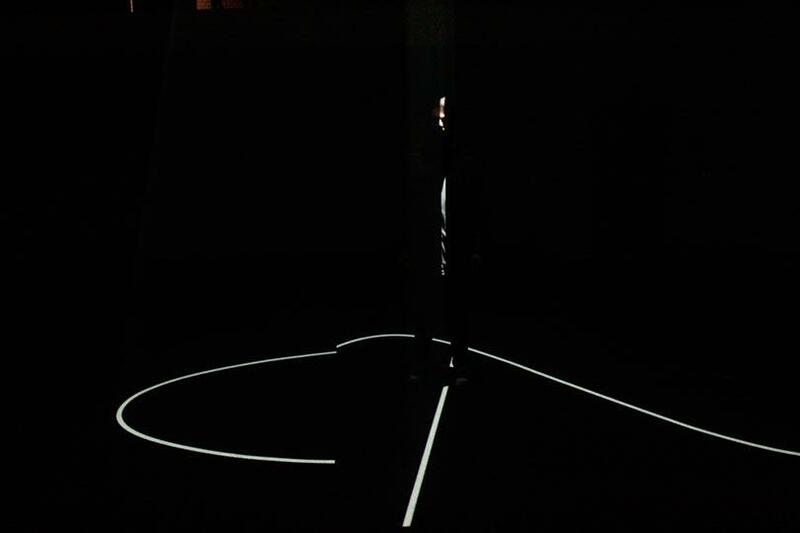 The film begins with a luminous dot at the bottom of the frame which, taking the 30 minutes running time, slowly forms the outline of a complete circle. 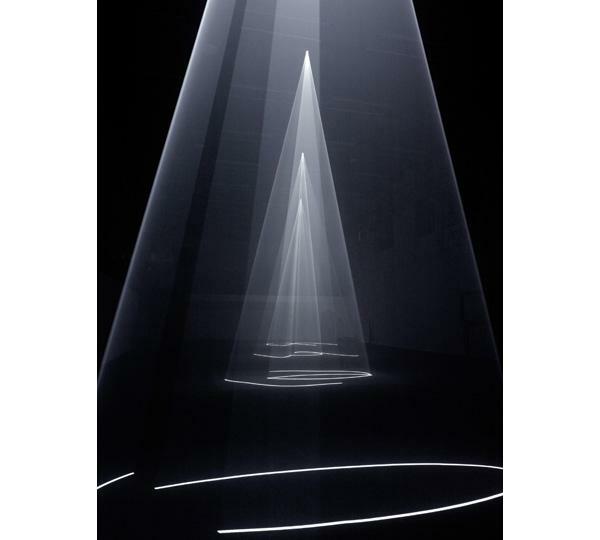 Meanwhile, the luminescent line of the circle gradually materialises into a three-dimensional cone in the air of the fogged room. 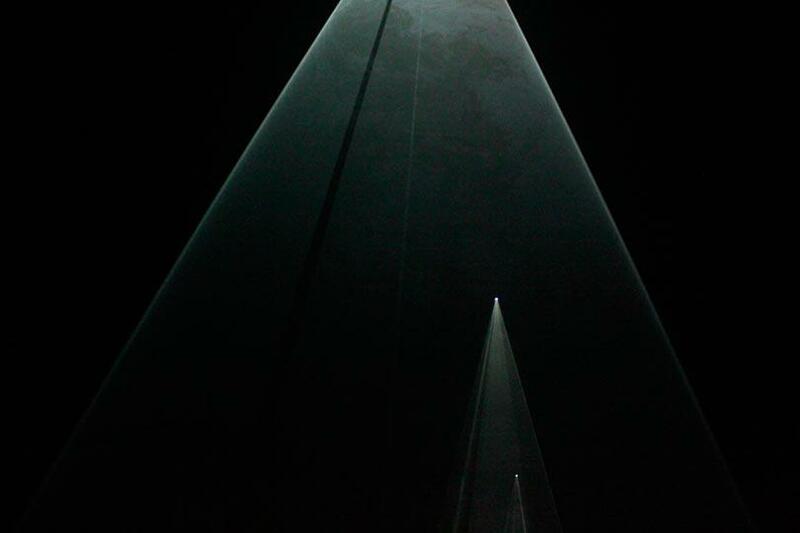 Caught in the light beams, the smoke particles reveal shifting sculptures of immaterial volumes. 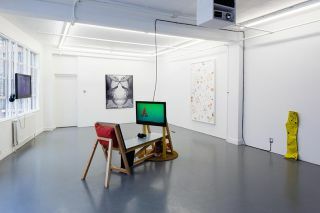 ‘Vertical works’ is the latest part of a long process stemming from cinematic frame into three-dimensional space. 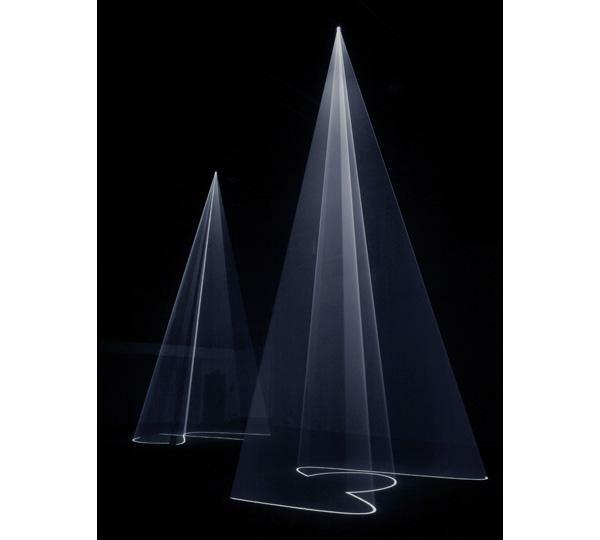 McCall’s spectral sculptures capture light and transcend darkness, offering a strange and poetic experience.